but it says startup repair could not automatically repair this comp and shuts down the comp. how can i get around this problem. repair what....did it detect anything ? what antivirus did you have before installing avast ? did you uninstall it before installing avast ? When the startup repair fails what cause does it give ? if you recently attached a device to the computer such as a camera or portable music player remove it and restart your computer. if you continue to see this message contact your system admin or comp manufacturer for assistance. i have no devices plugged in other than my wireless mouse. 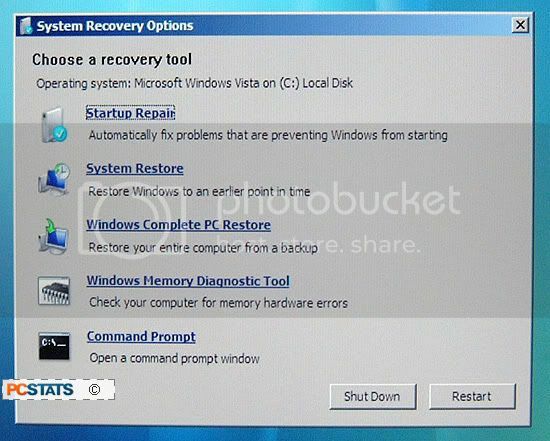 i have the windows 7 recovery media for windows 7 products disk that came with comp will try command prompt now. the operation was completed successfully. Does it now reboot ? It's currently at 60%, doing a full scan. If you have other things to do please don't feel like you have to stay for me. Again thank you for all the help.